For British people, the prospect of purchasing a new property in France can inspire excitement and apprehension in equal doses. Owning your own little corner of France is often a dream waiting to come true, but the process of completing the purchase can look like a long and winding road. Securing financing for the purchase is a particular cause for headaches, but it does not necessarily need to be that way. Broadly speaking, French lenders do not demand that you have agreed your particular purchase in order to initiate a mortgage application. You are therefore able to submit an application for credit before even starting your property search. The bank will is subsequently able to grant an agreement in principle or pre-approval for a certain mortgage amount. Your first step should be to contact a reputable French mortgage broker to whom you can explain your personal circumstances and financing requirements. If the broker is independent from the French banks, they will be able to confirm whether you qualify for the financing and show you the different options available. Following this, it is common practice to send your application, complete with supporting documentation, across to the lender in order to receive the financial pre-approval. In addition to the bank’s own credit application forms, the paperwork will include personal identity documents, bank statements and full disclosure of your income and outgoings. The good news is that the banks are happy to grant their agreement in principle through verifying electronic copies, which speeds up the process as nothing need be sent across the Channel by post. 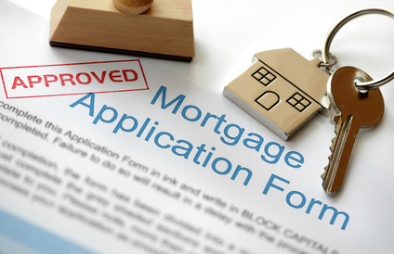 By obtaining the pre-approval, you are clearing the first hurdle of the mortgage application. This provides you with peace of mind on two fronts as your property search continues. Firstly, it is a commitment from a lending institution that the financing will be made available based on your own financial health. Secondly, it makes it less likely that the purchase itself will be delayed by any complication involving having the funds released in time. Additionally, this also sends out a strong signal to the French vendors and estate agents during your property search. It confirms that you are a serious buyer, which puts you in a much stronger position when it comes to negotiating the price of your purchase. In today’s uncertain economic climate, sellers are becoming more and more apprehensive about buyers being able to complete on their proposed acquisition. During these negotiations, you will be able to point to financing which has already been agreed by the French underwriters. This effectively makes you the equivalent of a cash buyer, in terms of the dependency of your financing means and the speed with which you can complete the application process and have funds released. Another worrying trend in the current economic climate is that banks exercise more caution when determining which properties they are happy to lend against. As property markets ebb and flow, they are reticent to ending up having to repossess properties which are difficult to sell on. Once again, the agreement in principle can help to guard you against the eventuality that the result bank’s property survey is negative. In order to do so, you should keep in touch with your broker and underwriter while looking at properties. Keep sending photographs, addresses and other details of the properties you view. If there is anything which could cause an issue to the bank – perhaps certain properties may be in need of serious renovations, or they could be too isolated from other facilities – then this will be flagged up at an early stage. This can help to avoid a situation in which you agree to purchase a new home, which the bank discovers it is unable to finance only after a formal sales contract has been signed. As the old saying goes, failing to prepare is preparing to fail. Hopefully this article has helped to highlight the benefits involved in arranging your French mortgage nice and early, in terms of sparing you stress, saving you money and avoiding an upset vendor!